There are a group of people, since around the 17th century, collecting printed materials from the everyday scene, to study social and cultural phenomena of the time when the printed paper was made. Because of their nature on paper, these printed materials are called Ephemera and collectors of it are called ‘Ephemerist’. The paper models and diorama are a part of those Ephemera, which evoke the style of architecture and interior trends. The top picture is showing a publication from The Ephemera Society, which has a silhouette of Samuel Pepys on their journals as the pioneer ephemerist. Pepys left a carefully catalogued and indexed personal library from the 17th century. The Society journal is of high quality printed material, to introduce the background, history and variety of ephemera – from parking tickets, adverts of products, to war time propaganda leaflets. 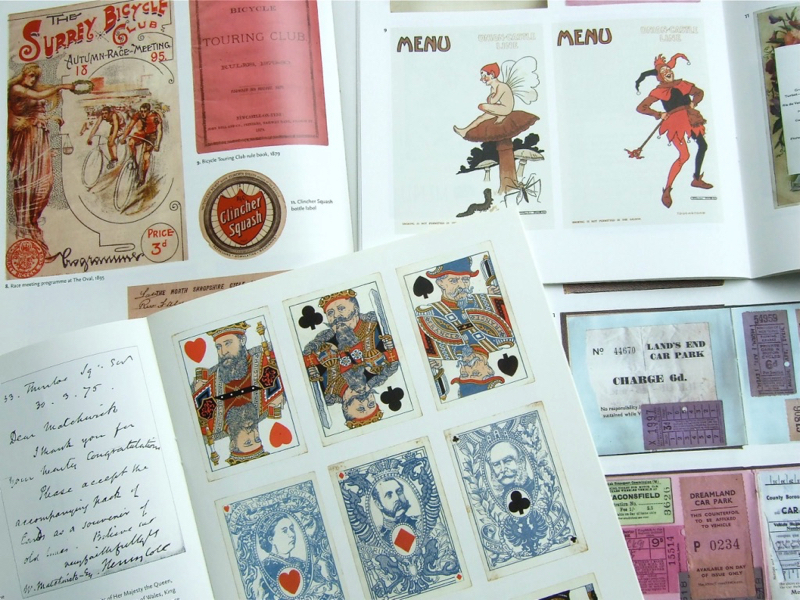 This 1:16 Collection wishes to add an aspect of ‘creating three-dimensional objects and spaces, out of flat paper’, to extend the joy of collecting ephemera!